There’s one thing of which you can’t accuse Kevin Power and his Queensland Choir and that is shying away from the big challenge. Next week, the conductor will stand in front of his 100-strong choir — boosted by more than 300 young people from secondary-school choirs, bolstered by a half-dozen African drummers. Topped off by soprano Sally McHugh, plus a music ensemble — and direct the hour long performance of African Sanctus. “This is a very difficult piece to learn,” says choir manager Marie Jackson. “But Kevin decided to build on last year (when the choir did Carmina Burana) and the board as a group decided it was important to include young people. Jackson says she started to look for an African drumming group last year. 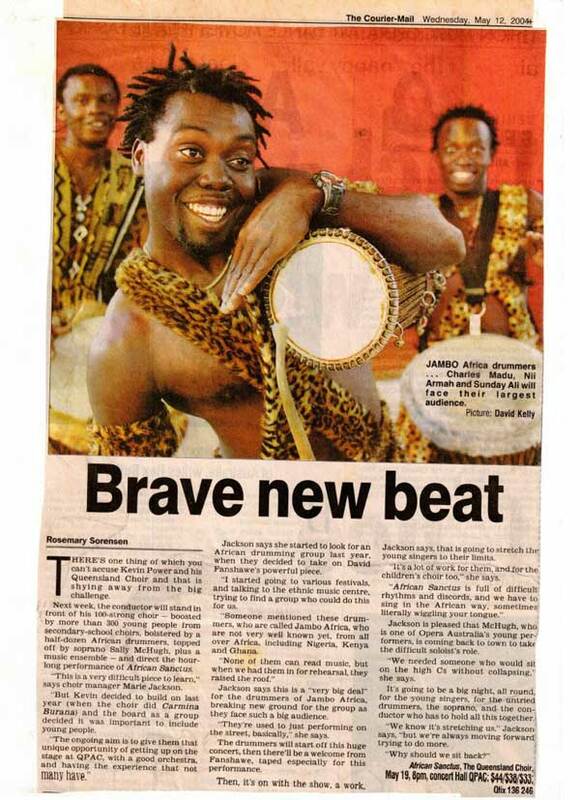 “I started going to various festivals, and talking to the ethnic music centre. I tried to find a group who could do this for us. 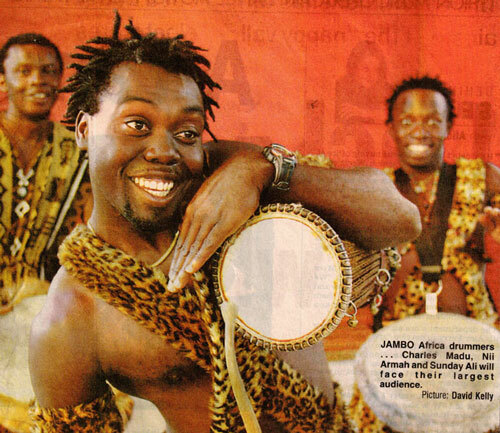 Jackson says this is a “very big deal” for the drummers of Jambo Africa, breaking new ground for the group as they face such a big audience. “They’re used to just performing on the street, basically,” she says. The drummers will start off this huge concert, then there’ll be a welcome from Fanshawe, taped especially for this performance.